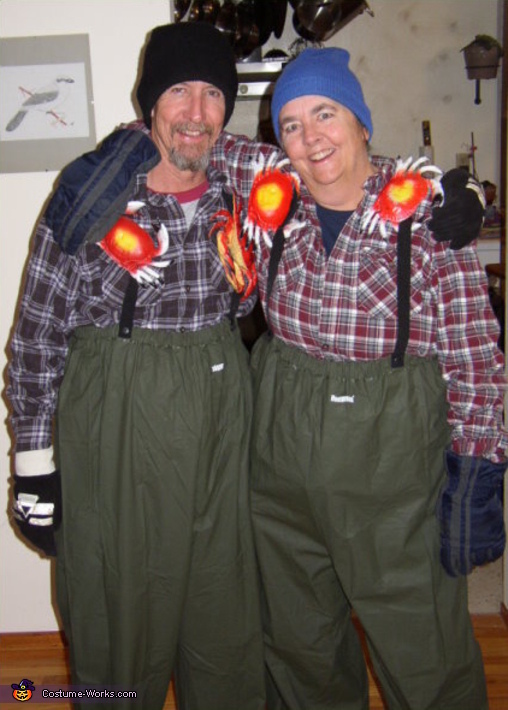 Here are Dan and Sue, dressed and ready to do a lil Crab Catching (fishing?) IF the Crabs don't catch them first! From the TV Series "Deadliest Catch" which shows why Crabbing is indeed one of the Deadliest Jobs that people perform.